Your first move from London to a huge and expensive city in the U.S. like Chicago, Illinois might have been exciting because you were finally getting out of your parents’ house and into your own apartment. You’re starting a new life in a new city! Stuff. We all have a lot of it, and some of us never keep accumulating it. That very used but serviceable garden wheelbarrow you saw in someone’s trash on the side of the road now has a home in your cramped garage, because you just might need it someday. Those 13 VGA cables that you have gathered after every monitor change fill an entire drawer in your dresser. That kiddie pool with a slight crack still holds enough water for a couple hours just in case your brother’s children come over, and that broken solid state guitar amp that you mistakenly think might someday become a valued antique claims a prominent place in your bedroom. All of this stuff has one thing in common—if you’re moving soon, that junk needs to belong to someone else. Of course, the dumpster is a decent option, but that doesn’t bring in any money, nor does it help the planet. One way to try to turn that trash into cash is to have a garage or moving sale. There’s a Wall Street saying that the stock market operates on the “bigger fool” theory: there is always a bigger fool than you that will buy the stock you want to sell. Same goes for your stuff and we’re not going to repeat that “one man’s treasure” cliché–although you get the point. Advertise on Craigslist and/or put signs up in your neighborhood, get up early and nicely arrange the things you to get rid of, price them reasonably, and see what sells. If that fails you can take a trip to Goodwill or the dumpster. And maybe Goodwill has a dumpster you can use so you can accomplish everything at once. After you have downsized by getting rid of unneeded junk, you can start to pack. Think about this before you start, however, as Helter Skelter may have been your dad’s favorite Beatle song, but it’s no way to begin a move. Start with one room at a time—preferably the room you use least—and methodically pack your things. Of course, you’ll find a lot of stuff you really don’t need, and then you may need to do another sale! When one room is completed, start the next. Mark all containers carefully, and neatly stack them in the now finished room. This way, you’ll see real progress being made. By packing yourself, you’ll know where everything is, and you’ll save the cost of a packing service. We know you’re looking to save money (perhaps to buy a home in the future), but we’re interested in saving your life, so be sure to consider professional movers for the big stuff. Walking up the basement stairs attached to a heavy, bulky and hard-to-handle freezer can be the proverbial recipe for disaster. 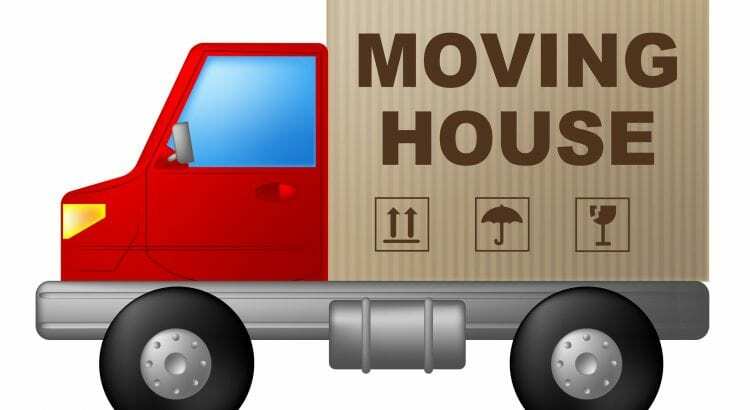 Pro movers usually have seen it all, have the proper equipment, and know how not to get hurt while moving big and heavy objects. Get rid of extra stuff by selling it, disposing of it, or giving it away; organize your move, and get pro help when you need it. If you follow those suggestions, your move will be cheaper and accomplished more efficiently.